By changing the default administrator username of your WordPress login can be a great security measure to help prevent unauthorized access to your WordPress admin dashboard. 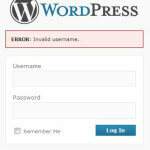 Your WordPress site is at risk if you are still using the default username admin. Attackers, either a human being or a robot can use the username to attempt log into your WordPress dashboard. It is always good practice to use an username that is meaningful but difficult to be guessed by the other. You should always avoid using usernames like admin, administrator or using username from your domain name directly. The old WordPress installation used the username admin by default. WordPress sites upgraded from older version should change the default administrator username. While the new WordPress installation will prompt user to enter a new username for the administrator. So be wise to choose a good username. Login to your WordPress site using your current administrator account. Hover over the “Users” link on the menu on the left, then click “Your Profile”. Change your email address to other email address (any will do). Save changes by clicking the “Update Profile” button. This step is important if you want to reuse your email address for your new administrator account. Hover over the “Users” link on the menu on the left, then click “Add New”. Key in all the required field. You can use the email previously set for the current Administrator. Be sure to choose “Administrator” for the role. Click “Add New User” to save the changes. Logout current user and login into the new user you have created just now. Hover over the “Users” link on the menu on the left, then click “All Users”. Hover over the old admin user, then click “Delete”. Make sure you select your new admin user from the “Attribute all posts” drop-down, and click on “Confirm Deletion” (Important!). Your WordPress site is now better protected against common brute force attempts. 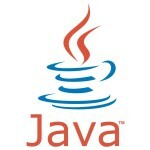 This is the place where I want to share anything about information technology.